We begin our first interview with Canadian makeup artist Shalini Rose whos passion goes far beyond makeup and beauty. Answer: Honestly, I don’t remember my first makeup inspiration. I’ve loved makeup since before I was allowed to wear it. Answer: Makeup grounds me. It’s my outlet to decompress and be creative and makes me feel more confident. For me, it’s not about ego. It’s my zen place. Answer: I don’t think I would ever be able to fully replace my love for makeup with something else. I do also love travel, animals, and holistic health. If makeup was somehow eliminated from my life, I’d probably be more involved in animal rights. Answer: Probably some sort of lip-gloss, maybe lip smackers! Gloss was the first thing my parents let me wear as a teenager. 5. Spill the TEA… Who’s your favorite makeup artiste and why? Answer: Desi Perkins! She’s hilarious, a fellow animal lover, and so relatable. I also love that she rocks natural and full glam looks. Answer: I try to avoid trends, so I don’t really pay attention. If Toronto has a current makeup trend I wouldn’t even know. I’m more interested in new product launches. Answer: Huda Beauty, all the way! I’m obsessed with every product she’s launched so far. The lashes, eyeshadow palettes, foundations, and highlighter palettes are some of my top picks. But the Liquid Matte is hands down my favorite product they carry, and my favorite liquid lipstick formula in general. It’s so comfortable and long lasting, I’ve never used anything else like it. 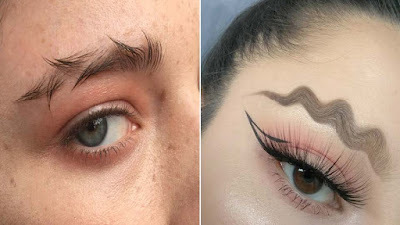 Which makeup trend is your least favorite? And what would you change about it to make it wearable (from your perspective)? Answer: I’m not into odd makeup trends, specifically squiggly brows or pencil brows. In my opinion, most of the trends gimmicks just aren’t flattering and can’t be altered to be more wearable. Answer: Makeup can definitely be a full-time career! For me, I work full time in health care and it takes up most of my time. I think for a lot of people, myself included, makeup can be a great way to structure your own work-life balance if you wish to. There are endless options for ways you can work full time in the industry: content creation, branding, taking clients, sales, blogging, product development, photography, modeling. Sometimes it’s just about taking the plunge! 10. And finally, What drives you to continue, even when things get tough? Answer: I was a co-founder of another beauty page and had to start over on my own this past year. It was definitely tough. I had doubts, worries, and struggles, but if you have passion, it will always drive you to continue... even if you get knocked down.